I have over 15 years practice in teaching and researching issues of spatial planning. This includes teaching planning theory, urban and regional planning tools and practice, governance theory and tools and international development issues. I have also large experience in studio-based teaching, where practical issues of regional planning are tackled. My keywords are: GOVERNANCE, ROBUST SUSTAINABILITY, REGIONAL PLANNING & DESIGN, INFORMAL URBANISATION, ETHICS and VALUES in URBAN DEVELOPMENT, SPATIAL JUSTICE. At TU DELFT, we always work on problem-led, real-world-issues kind of way, most often in a studio setting., where students are confronted with real world problems. My vision on education includes building up knowledge from people’s own knowledge. Inspired by Paulo Freire’s ideas on education, I believe knowledge is more effectively built when using people’s own lexicon and world views in conversation with other knowledge. In other words, teaching is more effective if you build upon people’s own knowledge first, using people’s own words and practices. This is a way to respond to the need to incorporate different kinds of knowledge into the planning discourse, not only expert knowledge in order to foster diversity and go beyond established canons of planning (this is based on Foucault’s ideas on knowledge. Knowledge that is considered “non-expert” knowledge by established institutions is commonly ignored). 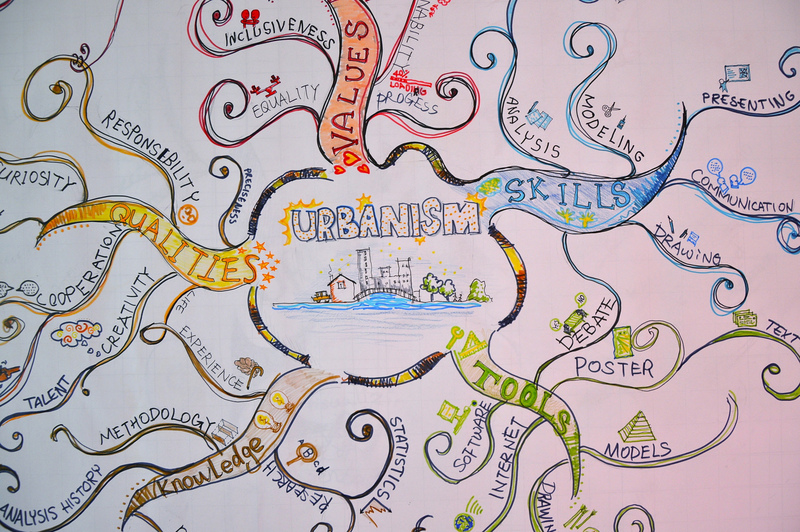 Like in other areas of knowledge, everybody agrees that Urbanism is a trans-disciplinary activity. However, I have noticed that professionals feel threatened as soon as different new disciplines are included in the discussion. Design professionals, for instance, feel threatened by the need to converse with other disciplines, and by the need to academicise design practice in higher education environments. In practice, this means that I try to refrain from “lecturing” students too much, but prefer instead to work with interactive activities where knowledge is co-produced. I only give “lectures” once students’ knowledge has been explored, revealed and somehow organised. This has lots of implications to the way my teaching is organised. I have guided more than 40 graduation projects at Master level and one PhD dissertation. HERE you can read a complete list of the graduation research and design projects I was involved with. 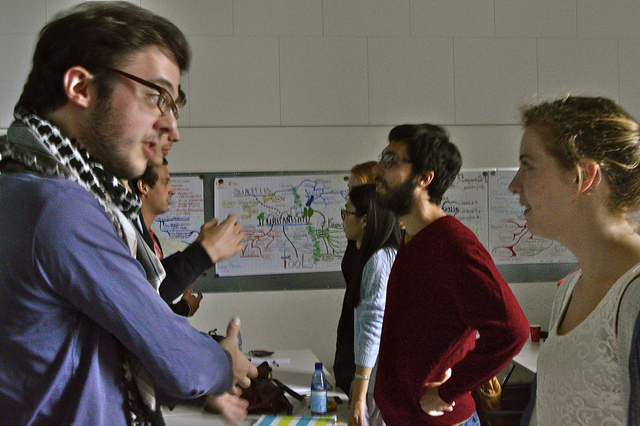 International students of the course “Methodology for Urbanism” discuss alternative definitions of “Urbanism” . From 2008 to 2010, I joined a research group at the University of Hertfordshire in the UK as a research assistant. 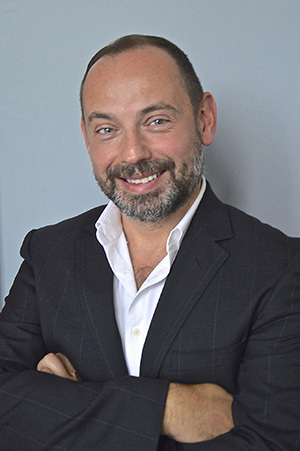 The Research into Practice cluster formerly led by Professor Michael Biggs is a centre of excellence investigating the fundamental nature of research in the creative and performing arts. Following this, I have developed knowledge and skills concerning those issues in education in planning and design. This has resulted in the development of two methodology courses in the masters program of the department of Urbanism of the TU Delft. These courses tackle education in planning and design, and seek to establish a meaningful connections between traditional academic research and practice or design oriented disciplines, such as urban design, landscape architecture and spatial planning. The aim of these courses is ultimately to raise the academic value of the education offered. For further information on these courses, please visit our website HERE. The philosophy of these courses is contained in this PRESENTATION. HERE you can read a text where I explain these ideas in detail. Poster prepared to showcase student work at the Graduation Studio Complex Cities. Dena Kasraian is a former Master student, now a PhD candidate at OTB, who developed a comprehensive tool to evaluate area densification potentials. Poster designed by R. R.
Apart from methodology, I have developed content and managed a research and design studio called “Complex Cities” for 4 years (2008- 2011), where students of the Department of Urbanism (spatial planning, urban design and environmental technology) develop their graduation work. The graduation studio Complex Cities and Regions in Transformation tackles strategic regional planning and globalisation, with emphasis on regional development, governance and strategic planning. In this research and design programme, students are asked to develop a strategic plan for a region of their choice. Because we have students from all over the world, the diversity of cases is enormous. However, we tried to provide students with a strong methodological and theoretical framework, connected to regional planning and development. Our approach included the production of an ample regional analysis of governance frameworks and socio-economic trends leading to the identification of regional development issues. These are subsequently tackled through a regional strategic development plan, which includes a detailed map of the wishes and the roles of stakeholders, as well as a plan containing policies and physical interventions (projects or designs), where students are supposed to test their assumptions and develop their design, visual, oral and written communication skills. Further information can be obtained HERE and a brochure can be downloaded HERE. Other design and research studios led by me in partnership with other members of the department deal with mobility, infrastructure and planning and the ‘knowledge city’ (an idea we have been trying to unpack at TU Delft). 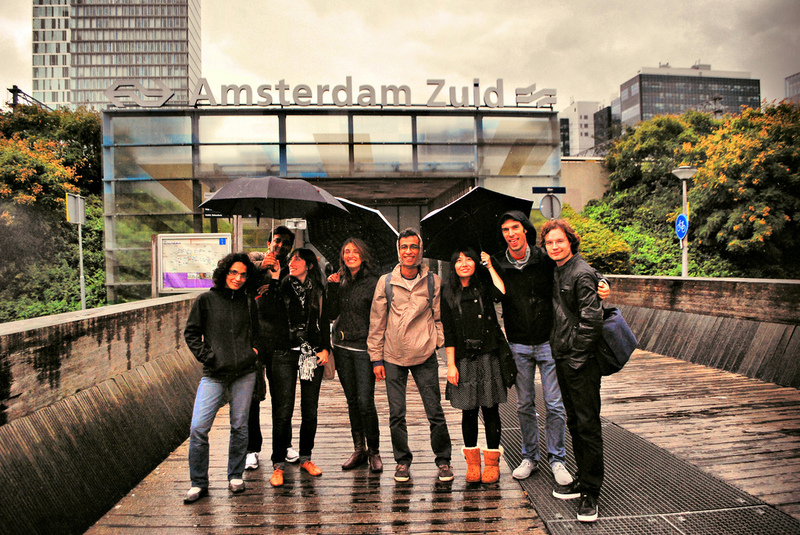 EMU students visit the Amsterdam area known as “South Axis”, as part of a studio on Urban Mobility. Photo: R.R. One of the studios is a postgraduate research and design studio belonging to the European Masters in Urbanism (EMU), an accredited European consortium between the Urbanism departments of TU Delft, the Catholic University of Leuven, Università IUAV di Venezia and UPC Barcelona. This is a two-year, full-time postgraduate Master’s program (120 credits). 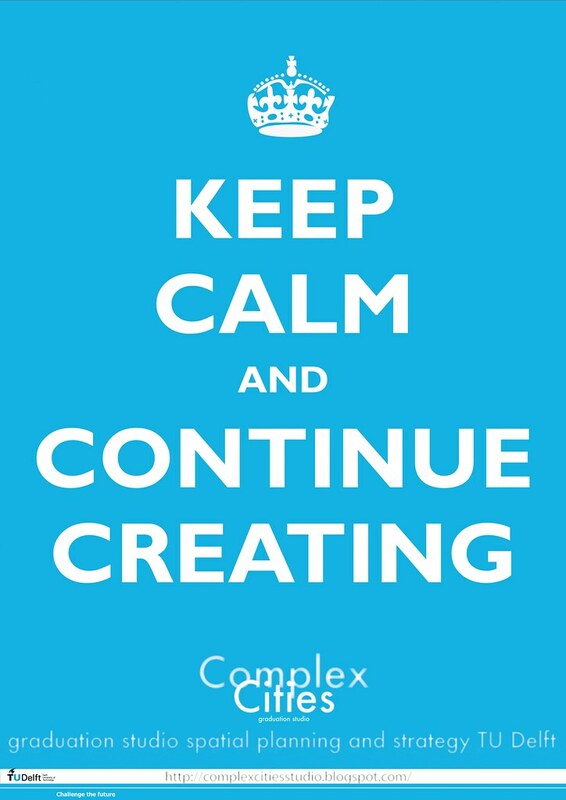 The full-time program consists of three core semesters and one final semester for a written or design thesis. In each core semester, students take several cutting-edge courses, having the design studio as the backbone to develop projects and designs. 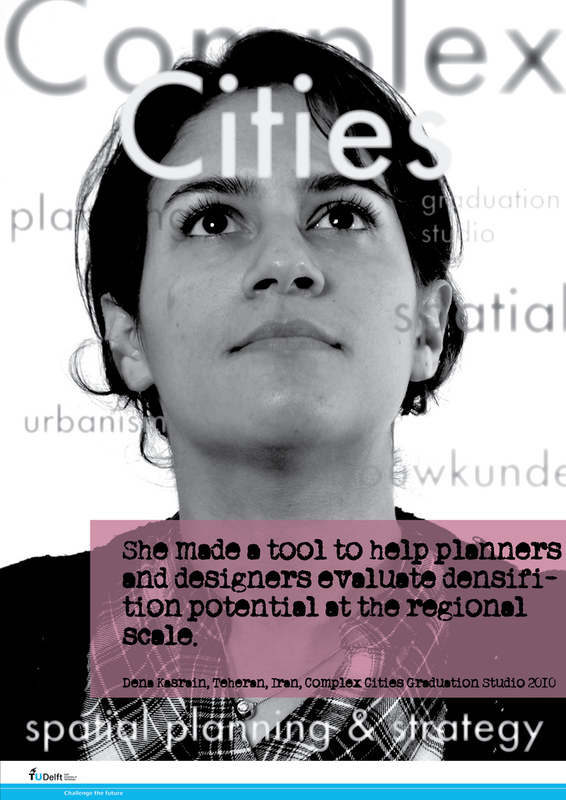 I have helped develop the content of the studio centred on regional planning and design. The studio tackles the strategic design for the transformation of complex polycentric regions where mobility and infrastructure play a major role. I have taught at EMU since its inception, first in partnership with Remon Rooij, then with Daan Zandbelt and currently with Alexander Wandl. The summer school is led by the Delft University of Technology, and international partners. This exercise includes site visits, talks with professionals and academics and a short studio-led exercise, where students and teachers will explore possibilities through the elaboration of spatial scenarios and the design of spatial strategy in case city in the Greater Rotterdam area, one of the most important urbanised delta regions of the world. The Summer School takes place at the Faculty of Architecture and the Built Environment of the TU Delft between 17th and 28th July 2017. 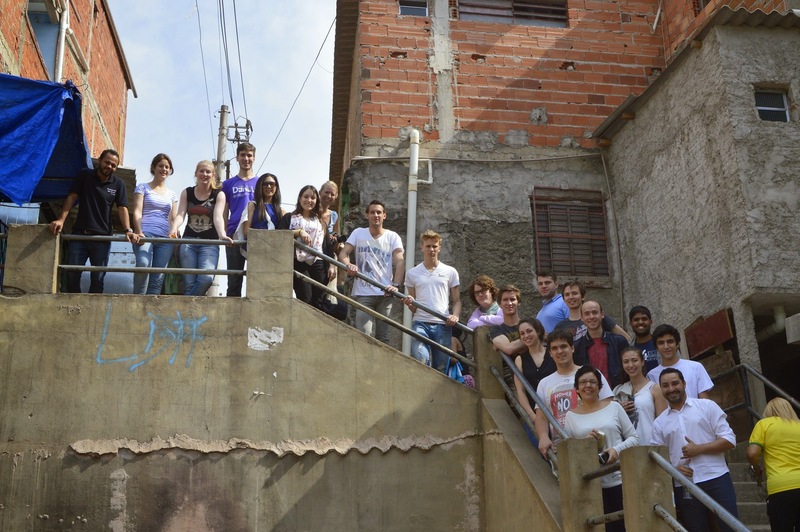 Students of Smart infrastructure and mobility (IED) visit the Favela Paraisopolis in Sao Paulo. Photo: R.R. In 2014, I helped develop and teach an elective course entitled Smart Infrastructure and Mobility (SIM), with Taneha Bacchin and Denise Piccinini. This course focuses on the interconnections between spatial planning, landscape design and regional design in a cross disciplinary way. There are three chairs of the Department of Urbanism involved: Environmental Technology and Design, Spatial Planning, Landscape Architecture), each catering for specific aspects of the project. The main goal of the elective is to elaborate a critical analysis of metropolitan mobility issues. The aim is to understand and act on aspects of metropolitan mobility, water management and urban design in developing context, through research and the elaboration of a spatial design for a sub-system of the High Tietê river basin system in São Paulo, Brazil. This is done by critically analysing the issues at hand, understanding the governance arrangements and proposing spatial interventions. This course builds on the theme of the Sao Paulo Infrastructural Traffic and Water Ring. Locally known as the ‘Rodoanel Mario Covas’- the Greater São Paulo Road Ring, and the ‘Hidro-Anel’, the Fluvial Waterway for the transport of goods of the Metropolitan Region of São Paulo. (c). how the understanding of metropolitan governance structures can help designers and planners act in a more sensitive and informed manner, by taking real stakeholders and their concerns and objectives into account. Who: Evert Meijers (TU Delft), Clemens Driessen (Wageningen Univ. ), Bas van Vliet (Wageningen Univ.) and myself. Course description: In this AMS course on metropolitan challenges and methodologies, we introduce typical urban challenges of today, focusing on mobility, energy, health and socio-spatial cohesion. Particular focus will be on understanding the different multidisciplinary dimensions of these problems and to explore the linkages between these challenges. Metropolitan problems often have several dimensions: cultural, political, technical and aesthetic, to cite but a few. Consequently, addressing them requires the involvement of a large number of stakeholders with different disciplinary backgrounds. Combining these into interdisciplinary and transdisciplinary ways of working is required to deal with urban development in an innovative way. For any actor working to contribute to advanced metropolitan solutions, it becomes crucial to be able to understand, communicate and to co-operate with other actors in order to integrate their knowledge about issues at hand and to understand different (and often conflicting) objectives. Awareness of the socio- economic context, as well as the implicit and explicit values and cultural norms operating in a specific place and discipline is essential to achieve suitable solutions. This AMS course enables students to better understand the multidisciplinary nature of metropolitan problems, and gain knowledge of different disciplinary approaches to engage with metropolitan challenges and potential solutions in a meaningful way. Particular attention will be paid to the development of skills and methods enabling this better understanding. The course introduces and discusses tools and frameworks for unravelling complex metropolitan challenges and provides a basis for discussion on different norms and values commonly present in different communities of knowledge and in large groups of people working together. AMS: This special course is open to all master students from both TU Delft and WUR, but their educational background and knowledge should be relevant for one or more of the themes that are central in this course: mobility, energy, health and socio-spatial cohesion. During most weeks, students are expected to be present two full days (Tuesday/Friday) at the AMS institute in the center of Amsterdam.